Sleep shifts for children in aqualegia linen and 12 Shadowfell natural dye colors. Mesh by fuyaya. You will need to get it here for these to show up in your game. Three new brews from Monsta Beer, giant of the Oasis Springs craft beer scene - a seasonal Pumpkin Ale, Grim Gnome Stout, and their flagship beer, Monsta IPA. Enjoy! Mesh by Sandy @ Around the Sims. You will need to get it here if you don’t already have it in your game for this object to show up. 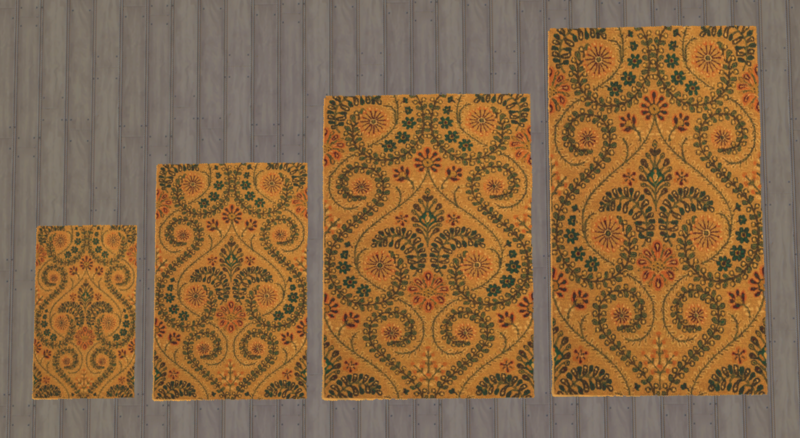 Here is a small set of natural fiber rugs in four sizes – 2x3, 3x4, 4x5, and 4x6. 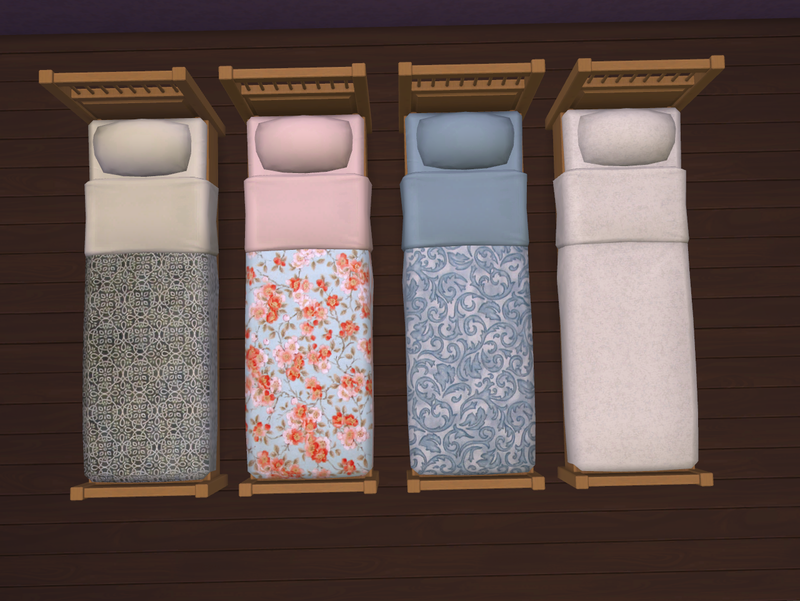 Here are 8 recolors of bedding for double beds. You must have orangemitten's original Sophia Selectables mesh in game for these to show up. Get it here. 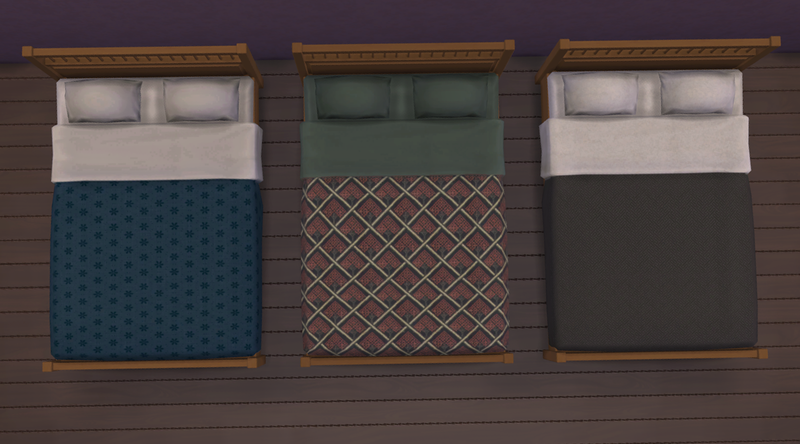 Here are 10 recolors of bedding for single mattresses. Required mesh by Veranka here. 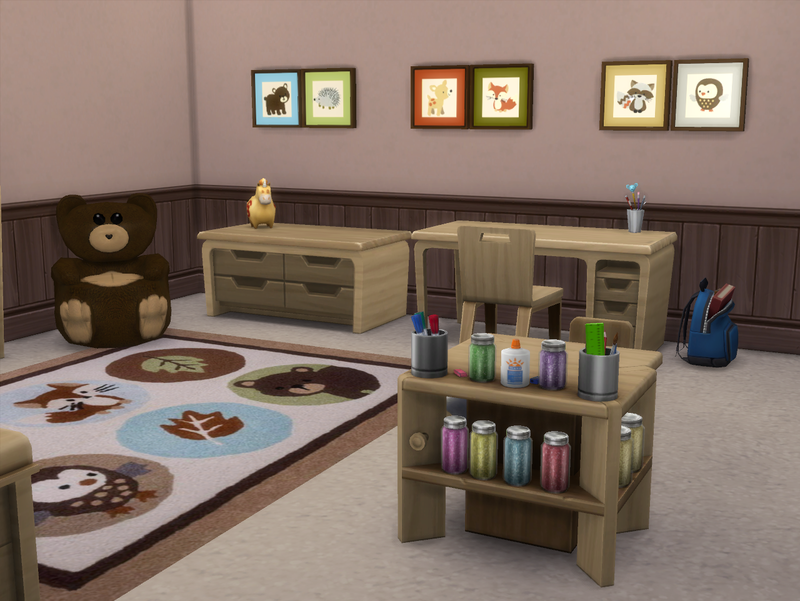 Here is a collection of 17 recolors for our Sim kids. 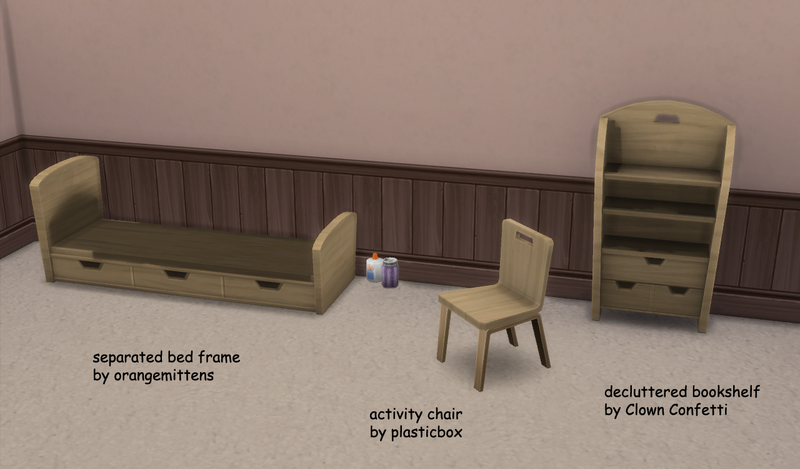 I have recolored 13 Maxis meshes and mesh edits of children’s furniture in solid Maxis match natural wood for it. All items except the game table, which requires Get Together, are base game compatible. Plasticbox’s activity chair has the functions of the Creative Art Thou table but can be used at any desk or table. 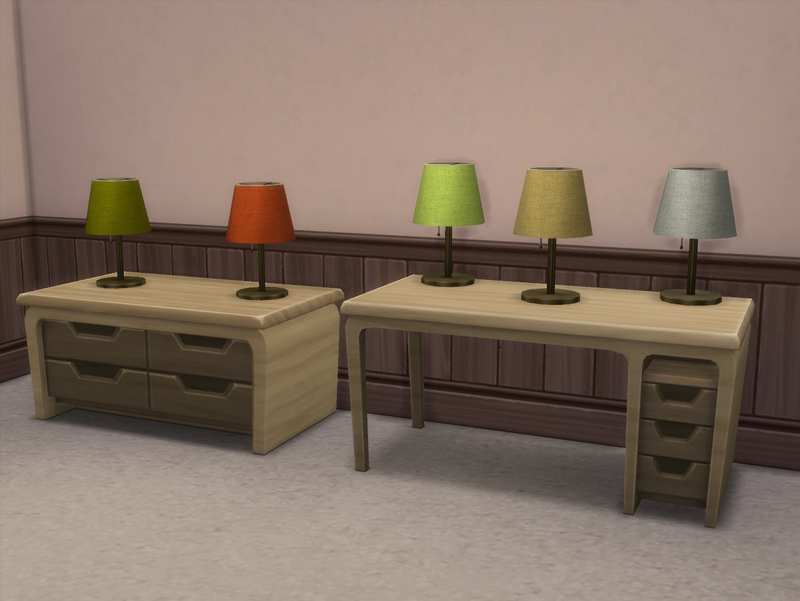 *Troubleshooting: If either plasticbox’s activity chair or table lamp throw a script call error, placing the originals (found here and here) in your game should fix the problem. 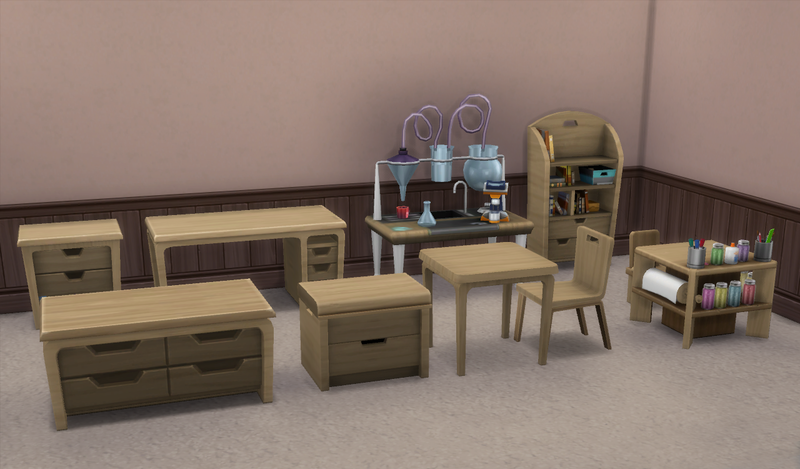 Download below is for a merged package, including all items except the decluttered bookcase, game table, and activity chair. The decluttered bookcase is available individually here. The game table is available individually here. The activity chair is available individually here. Alternatively, you can pick and choose your packages here. Thank you to Clown Confetti for fulfilling my request to declutter the kid bookcase. 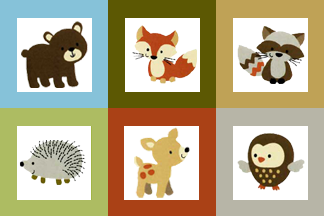 Thank you to plasticbox for making all their creations available through the Creative Commons license. Additional thanks to orangemittens, Veranka, and tukete for their work. Helen-Sims converted this beautiful mesh with the original textures from TS2. I’ve always loved it, but have never been a fan of grunge, so I tweaked the textures a bit. I think they look really nice (despite the terrible pics) and hope you do too. Known issue: These should have custom thumbs but it was too much of a hassle. I'll be releasing a bunch of things that I've had for awhile but hadn't gotten around to making ready for sharing, so some of these are going to be released "as is." Hopefully, others find that worthwhile. Get the required mesh here. 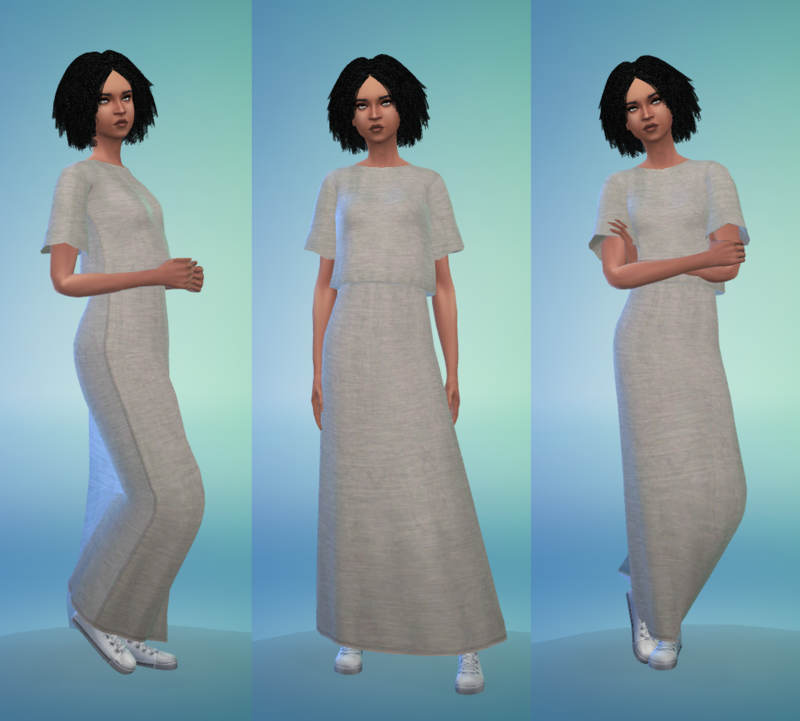 Here are several Maxis match recolors of these 2 meshes. The tub is a mesh edit by snowtato in 3 Stucco n’ You and 5 Get Ruins Maxis wall textures. You will need the original, found here, for it to show in your game. 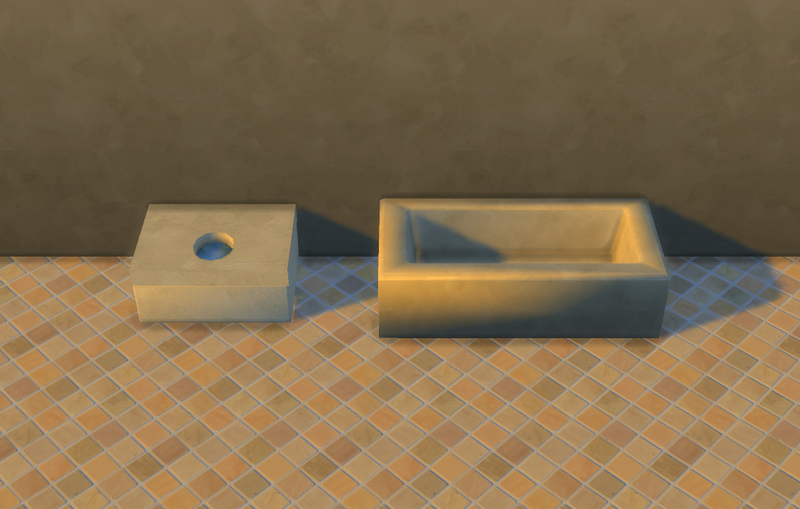 The toilet was created for TS2 by Tarox and converted by Motherof70. 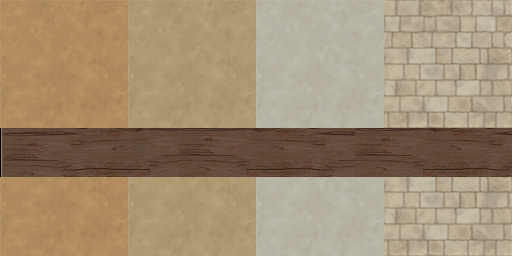 It comes in the 3 stucco textures with and without wooden seats (6 total) and 2 stone textures (beige only with and without a wooden seat). Your Sims will hate it because it can’t be cleaned, but that’s life! You will need the original, found here, for it to show in your game. 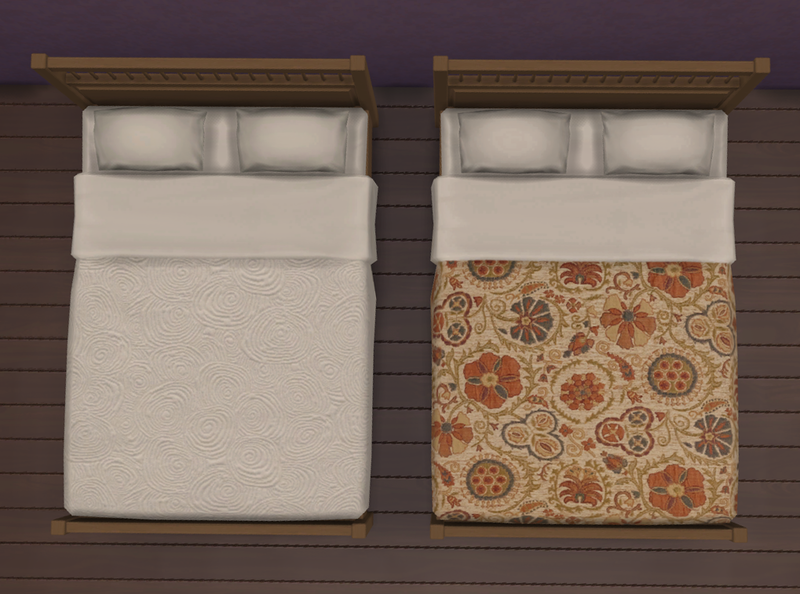 I now have Awesims’ beautiful original textures on wildlyminiaturesandwiches’ wonderful mesh edits to go with my mattress recolors. 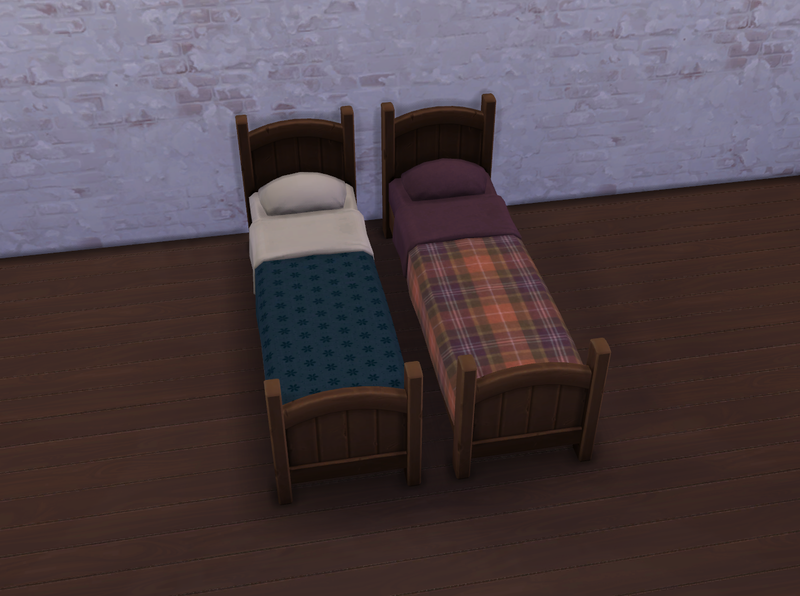 Awesims is no longer around as far as I know, but had a very generous policy allowing their things to be used freely as long as they were kept free. This object stores and keeps your fish fresh indefinitely, using the same functions as the game aquariums and fish bowl. It can also be put into a Sim’s inventory, making it perfect for anglers and solving part of the problem of Maxis neglecting to give us working coolers. coolspear1 is responsible for creating this invaluable mod. All credit goes to them. I am offering it with textures from the deco picnic hampers for use in games where a modern plastic cooler would be inappropriate. Thank you to Martine for already separating the hamper, making the editing of the mesh much easier, and giving me permission to use it. You need the original in your game for this to work. Get it at Naughty Sims Asylum now (registration required). Tagged as miscellaneous storage, small appliance, and for park venues. yavanna79 brought it to my attention that Chocolate Muffin Top no longer hosts the required mesh for my Rites of Spring dress recolors. However, they have generously waved their TOU for this item, so I can now offer it with the mesh included. (If you want the original, PM me here and I'll be happy to send you a link to that also.) Get the new package with included mesh here. Recolors of ChocolateMuffinTop’s Starstruck dress (mesh included). ChocolateMuffinTop is no longer hosting the original and has given permission to include the mesh. If you’d like the original too, PM me and I’ll be happy to pass it along. 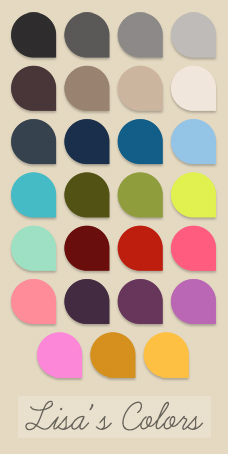 The T-shirt dresses are in Lisa’s color palette on a texture by Trapping. *Male version is not flat-chested but the breasts are modest and not deformed, as shown on my model, Bryan. This overrides the game homework book for teens. 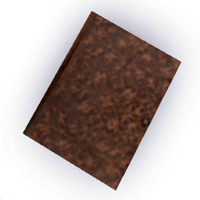 It has a custom thumbnail that is visible in the book purchase catalog, Sim inventories, and the interaction cue. You can only have one override per debug item in your game at any time. To revert back to the game version, simply remove it from your mods folder. Motherof70 has done the grade school homework for era games already. You can get that and a feather pen/quill override which works with this too here. This should override all instances of the game sheet music. 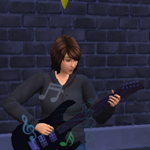 Sheet Music only shows up in Sims' inventories and the interaction cue, so no in-game pictures. This is just a small change. You can only have one override per debug item in your game at any time. To revert back to the game versions, simply remove them from your mods folder. This overrides the game home style cooking skill books, volumes 1-3. 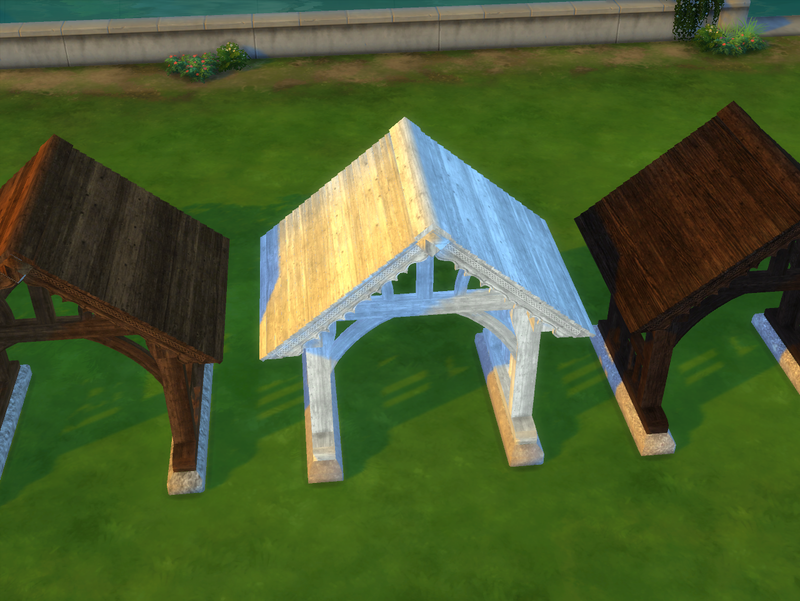 These complete my WIP for rustic kitchen overrides. They all have the same cover (I believe the original is from Skyrim) and are named Bokes of Goode Cookery, Being a propre booke of cookery declaryng how one ought to prepar all maner of foode (only the volume numbers are different). They have custom interaction cue thumbnails which also show up in the book purchase catalog and Sim inventories.